Take advantage of the unique and large surface area and brand it with your company logo or photos of your company's products. 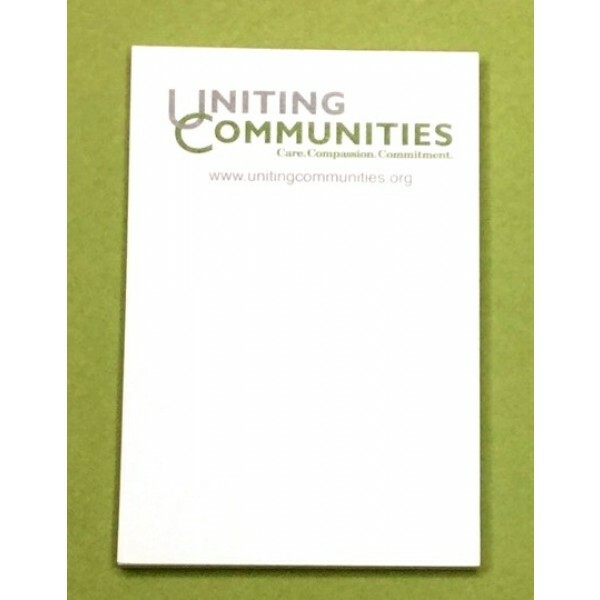 The customized printing is included with the price, making this a cost-effective advertising tool. Each notepad contains 40 sheets of white paper. Ultimately, that's 40 advertisements right at your fingertips. The 40 page configurations provide you with the best value. If you desire, 50 and 100 page configurations are also available upon request. Hand out these eye-catching giveaways at trade shows, sales meetings, business appointments, and conferences to get your name and mini-advertisement into the fingertips of future clients. These handy notepads are the perfect size for list-making-whether that's a to-do list, shopping list, packing list, or a list of homework assignments. They make wonderful writing tablets for company meetings, especially if key ideas need to be posted to facilitate discussion. Architects and engineers can use the innovative size of these sticky notes to sketch out drawings. The sticky note's adhesive backing can be used to seal the sticky note around their prized work. 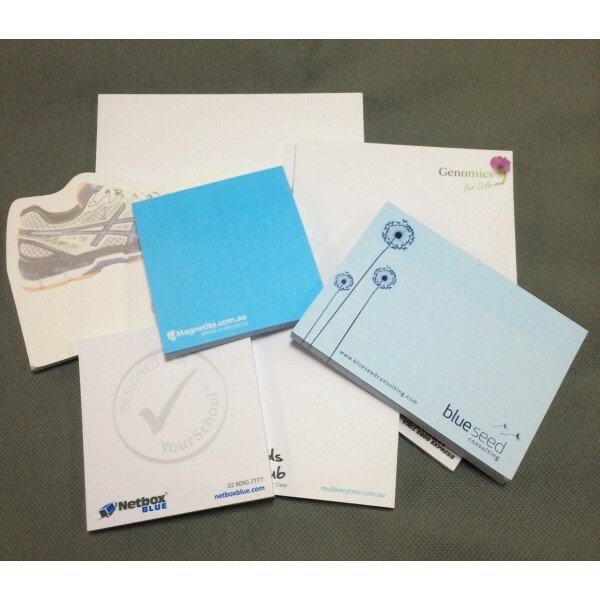 These white sticky note pads contain a backing paper as the last page and an adhesive strip that can be positioned on any one side of the sticky note pad.